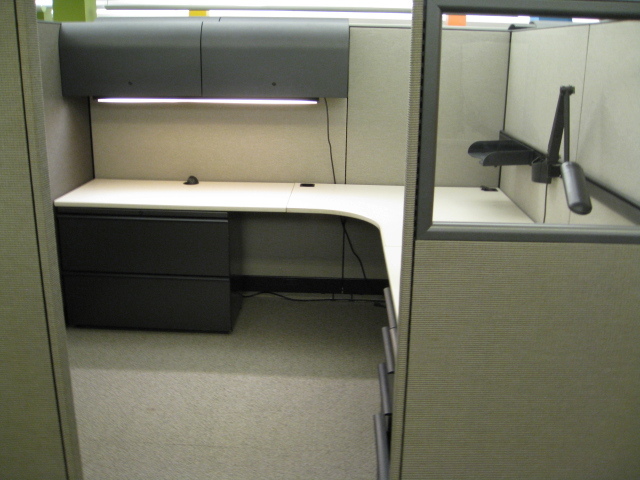 Each station consists of: 1`-48″ Corner worksurface, 1-48″ return, 1-42″ return, 1- 60′ Reuter Onetouch overhead, 1-48″ Tasklight, 1-Articulation Light, 1-Tool Bar, Paper Management, 1- BBF, 1-FF, 1- 2 Dwr. Lateral File. Power Down the Spine. 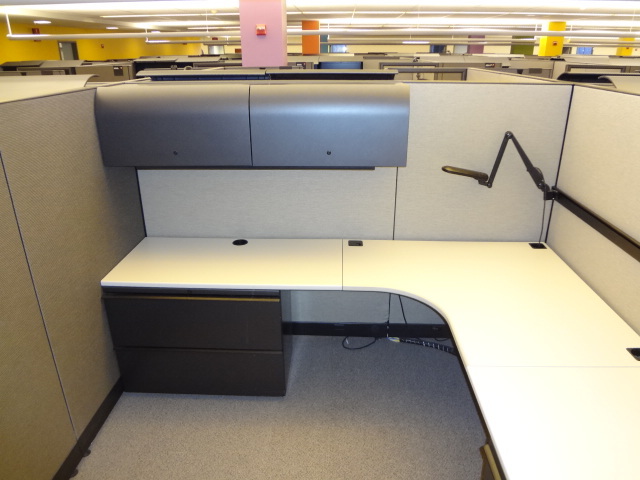 These Used knoll morrison cubicles are located in Ohio at our Cleveland warehouse. The condition is a 9 out of 10 very good as-is with light cleaning. 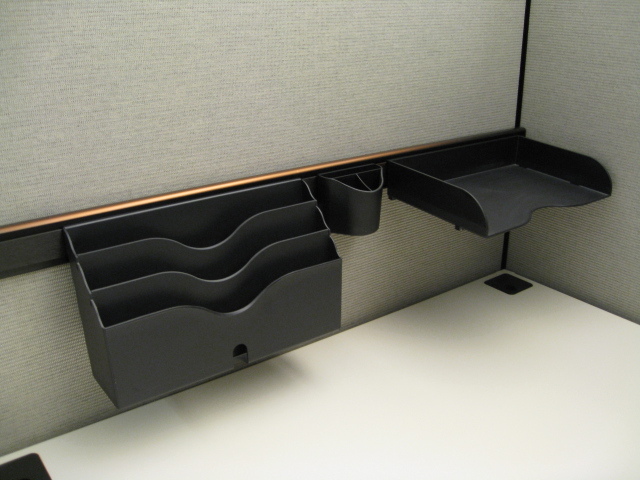 The stations have a ton of storage, a 60″ knoll overhead binder bin, a BBF and FF pedestal as well as a 2-drawer lateral file. From a visual stand-point, one of its best features is the half fabric and half glass closure panel. 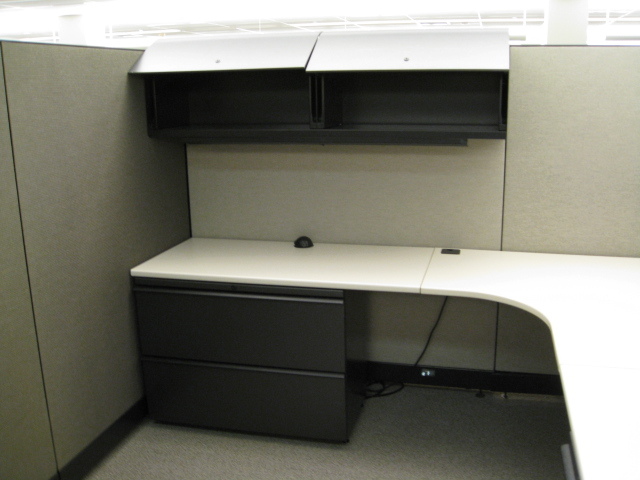 Our installation crew can easily service Cincinnati, Columbus, Indianapolis, Detroit, Pittsburgh and Cleveland. Our nation wholesale network allows us to be competitive in the rest of the states. 9 Comments on "Knoll Morrison 8×7.5 64 High"